According to the Centers for Disease Control and Prevention, each year roughly 785,000 Americans will have their first heart attack. Another 470,000 Americans who have previously suffered a heart attack will have another one. Nearly 30,000 people die each year due to heart attacks. Tragically, some of those who die might have been saved if they had received proper medical treatment in the emergency room. The National Safety Foundation estimates 1 in 6 patients have experienced a medical error in the form of misdiagnosis. Misdiagnosis includes both a failure to diagnosis and a wrong diagnosis. To diagnose a heart attack, physicians will typically inquire about your symptoms, your medical history and your family's medical history. Medical staff will obtain your blood pressure, pulse and temperature and listen to your heart and lungs. 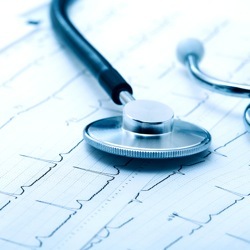 And while all of this information is helpful in gaining a full picture of your medical health, the doctor and medical staff should also perform an electrocardiogram (ECG) test. An ECG test records the heart's electrical activity via electrodes attached to the skin. An injured heart or one experiencing a heart attack does not generally conduct electrical impulses, so the absence of any impulses can indicate a heart attack is in progress or has occurred. In addition, the doctor and medical professionals should conduct blood tests. During a heart attack, the heart releases proteins and enzymes into the bloodstream, so their presence in a patient's blood typically indicates a heart attack has occurred or is in progress. Female patients and young patients are at a higher risk of misdiagnosis than older men because many medical professionals continue to embrace the myth that heart attacks are reserved for older men. As such, women and younger patients may be discharged with a diagnosis of anxiety, heartburn or muscle strain. In fact, one study found that women younger than 55 were seven times more likely to be misdiagnosed than men of the same age. The result can be deadly as the odds of dying from a heart attack are doubled when a patient is discharged without a proper diagnosis. But that is not to say that men can not be the victim of a misdiagnosis. An emergency room doctor who is overburdened with patients may misread an ECG or blood test. Or, because of miscommunication between an overworked emergency room staff, critical tests may not be performed at all. If you suspect a doctor failed to diagnose or misdiagnosed a heart attack, one of our medical malpractice attorneys will review your case with you in a free, no-obligation consultation. Please contact us online or call us at 615-742-4880 or 866.812.8787.